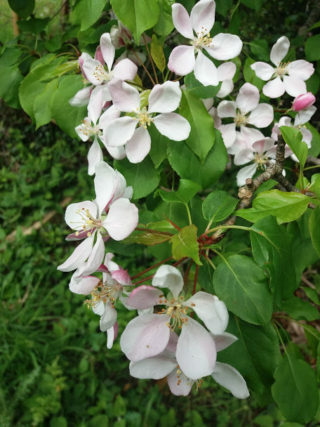 Like the wild cherry, crab apple has been deliberately grown around old farmsteads (and the fruit used for crab apple jelly) but is also a truly native species found in old woodland. Crab apple is found in hedgerows throughout the country. Unlike modern hybrid apples, crab apples grow true from the apple pips.